Okay, I'm not expecting :) I just wanted to preface this post with that statement! But this does have to do with a sixth child that we hope to have in the near future ;) Since this is kinda my journal, I just had to write down some experiences Joey and I have had with big decisions in our marriage over the past year and how we were guided to those choices. We've had some really neat experiences and answers to prayers that I am very grateful for. I want my children to know of them someday. So, when Joey and I were dating I remember talking playfully about our future together. Pretty much after my first conversation with the dude, I wanted to marry him. I kid you not. He has a special spirit and I was just drawn to him immediately. And hes cute :) But seriously though, he is special. Anyone that has met him, knows that. Anyways, I remember he said he wanted to have six sons :) That was hilarious to me...I think it was since he had grown up with three sisters? Anyways, as you know, we started out our family with three daughters...poor guy ;) Hehe. But then we were blessed with two little boys as well. We knew after four, that for sure there was a fifth(and actually planned for six before we had him), and I did feel it would be another boy...and Wesley is all boy for sure! As soon as he arrived, I was overwhelmed. We had just moved to a new town weeks prior to his birth. I was registering kids in new schools, school clothes shopping, figuring out life, brand new baby and I had a toddler that still very much needed me. One of my kids was starting kindergarten while another was entering middle school. There were a lot of worries and anxieties on top of the postpartum hormones making me crazy. What if they don't make friends? What if we don't like the new ward? What if I regret making the choice to change cities? Baby crying. Up all night. Trying to slowly unpack. It was crazy some days. Joey said, we are done. 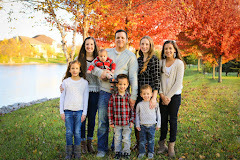 I felt like I couldn't handle any more kids either.. even though the previous year or so I had thought we would be having six kids, it just felt like a good number. So I went for months thinking this is it. Wesley is probably my last baby. And it made me even more hormonal and I felt depressed. And I started getting anxious about it. Unsure. I am a planner..and so maybe if you are reading this you might be thinking, why worry about that when you have a new baby? You can't make choices under that kind of stress! Wait a few months, then make the choice. Thats what we did. But I still felt so anxious not knowing what the future was for us during those months(and really do we ever know the future? Not really I know!) I needed to know if he was the last. If we should try for more in the future. We had many conversations...the rational/smart/easier thing to do was to be done. Five little kids can be cuh-razy people! 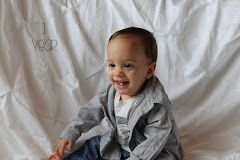 :) But then there were days where I pictured another little one...I prayed a lot. Joey seemed content with being done, but I just wasn't. I think he thought I was nutso. :) I felt nutso too! Ha. There was just something in me telling me maybe we weren't. It was hard for me to discern however, if it was me not willing to be done/let go, or if it was the Spirit. I prayed to know what it was we were truly supposed to do. I remember the first time I felt something I knew was the Spirit..it was when I was looking through family history papers my Grandma Adams compiled for us. Stories that she had typed for us of our ancestors. I had thought about naming a child after my grandmother(middle name) a year or so ago when we weren't sure of the genders of the boys, but we had boys, so that didn't happen. Her middle name is Viola and all I knew of it was that it was her middle name and her mother's middle name. It was also my aunt's middle name(but she had three sons so it wasn't passed down...and no one else has used it either). Its not a name that is used anymore so I thought well, maybe if we have a girl someday, we could name her Violet, or have her middle name be Violet. That would be a variation of it and work. So, that was as far as I had gotten in my thoughts in the past of babies and names for future girls/boys. So anyways, I found a sheet that was about my Grandmother's Grandmother-whose FIRST name was Viola(Which I didn't realize. I had no idea this name had been in the family this many generations!) I read a letter that she had written to her son who was overseas at war. It stirred my soul. I felt a closeness to her and knew that she was an amazing woman. She loved her family and was a devout Christian. I was able to read many things that she herself had written(that my grandmother typed) and I just felt so strongly that I need to name my next child after her. (Which meant, yes, we are supposed to have another baby! And I guess it'll be a girl?! :) The name we had liked for a girl if we had another was(and still is) Reese. So in my mind I thought Reese Viola and it just felt right. That exact middle name needs to continue on to honor these women-Viola. Violet doesn't do it. I love family history-I always have. And I felt as though I was blessed with an answer to my prayers through reading about my ancestors. My grandmother is one of the most amazing people on the Earth, so gentle, patient, loving, faithful, righteous and strong. I hope we are able to have a girl someday so I can honor her, her mother and grandmother. So, that was last summer. We didn't start trying right away. We waited a bit, but for the past few months we have been. TMI? Oh well, sorry. Nothing has happened yet, but thats okay. I'm not in a huge rush, but I'm not getting any younger so I wouldn't mind if it happened soon :) These five are running me ragged...lol. Also, there was one more experience that I wanted to share. I was able to attend the temple recently with my mom and Grandma. I prayed there asking for a daughter to name after my sweet Grandma while I was in the Celestial room with her. I guess I'm just really hoping for and expecting a girl after my experience with family history work! Not five minutes later, as we were walking out of the celestial room, a temple worker held open one door while I held open the other for my grandmother in her wheelchair. As my grandmother went by, I looked up and saw the word "Reese" on the woman's name tag. I felt so strongly that was Him telling me she is up there waiting. It wasn't just seeing that word, it was the feeling I had, and the fact that I was there with my Grandmother watching her walk by as we both held the doors for her. It was just a really neat experience I will never forget. Very powerful to me. Such a beautiful post, Holly. Very touching. I sure hope we hear good news soon!! :) It's been a while since our family has had a little baby girl.